Bryan Pierce is a pastor at Seven Hills Fellowship. Katie provides administrative support to Seven Hills staff and volunteers. As well as directing Youth Ministry. Jefferson is Seven Hills Fellowship’s first Church Planting Resident. As such he oversees High School, College & Young Adults. Joanna heads up Children’s Ministry at 7 Hills. If you have ideas or are interested in volunteering contact Joanna. Joy acts as one of our two Connections Coordinators. She is the first to officially welcome you after turning in a Connection Card. Get in touch with her if you are interested in membership. Aly is our other Connection Coordinator. She oversees all events, heads up Connection Groups, and is working to develop a Welcome Team. Contact her if you interested in volunteering in any of these capacities! Bryant ensures that the building is shipshape and in order! Sophie helps us with both Children’s Ministry and Youth Ministry. She keeps us on track and organized. If you are interested in reserving the 538 Broad building, please contact Julianne.  If you have a prayer request or would like to become involved in the Seven Hills Fellowship prayer team, please contact Hisayo. This wonderful group of folks regularly pray for our church, our town, our world. Rachel oversees God’s Theater for Children’s Ministry on Sunday mornings. Mission to North America (MNA) Disaster Response Warehouse seeks to bring relief to areas that have been devastated by natural disasters or man-induced calamities through the giving of supplies and assistance. If you would like to get more involved with this ministry or have questions about it, contact Ricky. YoungLives is a ministry to teen moms in Rome/Floyd County reaching out to these moms by sharing the love of Christ, but also helping them be the best moms they can be. There are multiple ways to be involved from providing meals, childcare, diaper drives to being a mentor. Please email Wendi for more information. The Ruth & Naomi project is currently the only shelter for women and children in Rome, GA. They seek to provide shelter, food, job skills training, but most of all, stability. If you would like to get involved or have questions, contact Stacie. South Rome Redevelopment Corporation is working to transform South Rome through home ownership, affordable housing choices, educational opportunities, active community involvement, leadership, and appropriate economic development. They are committed to ensuring that South Rome is a clean, safe, vibrant and beautiful community, as well as a pleasant place to live, work, worship, and learn. Contact Charles for more information. David oversees the music at Seven Hills. Want to talk music? Want to converse about worship as part of God’s provision for forming our hearts?